A Piping Queen – Virgin or Mated? 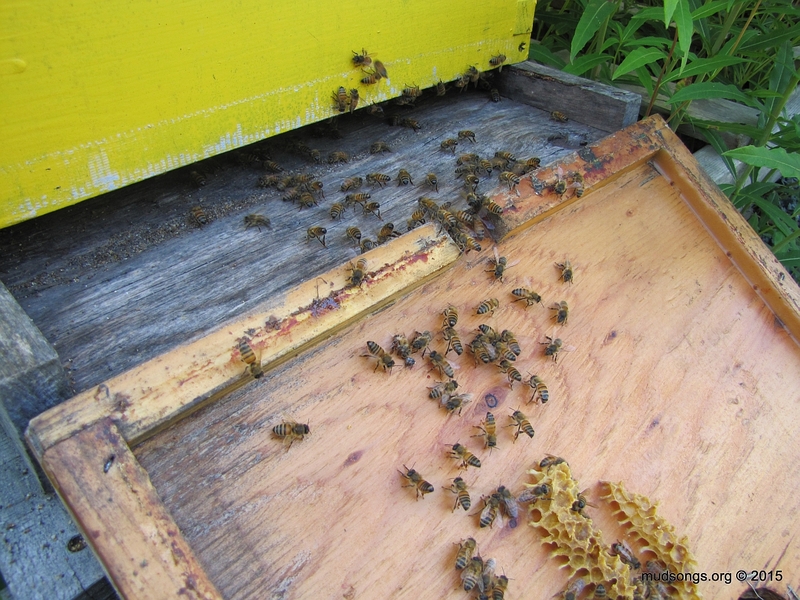 SHORT VERSION: I heard what I believe is the sound of a new queen piping, but I was unable to spot the queen because, most likely, she hasn’t been inseminated by drones yet, and thus probably looks like every other bee in the hive (she doesn’t get big until she mates and begins laying). 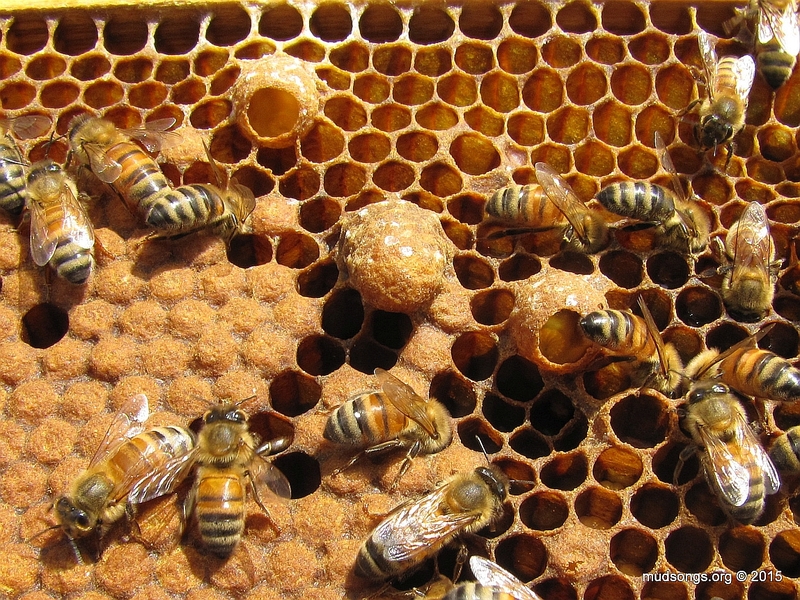 If a queen bee doesn’t mate within about 20 days, then it’s game over. Tomorrow is Day 20 for this queen. Bloody great. LONG VERSION: Well, here comes another learning experience. What Does a Queen Cup Look Like?